We are half-way through the 2016 presidential election and by the current updates on CNN.com, Trump has a lead over Clinton of 139 to 104 electoral votes. The tension is building, although one of the updates said that Trump and his campaign managers were smiling. We have two more titles for you to have a look while you wait for the election results. The first review is a release for anyone looking for the edited version of popular songs. 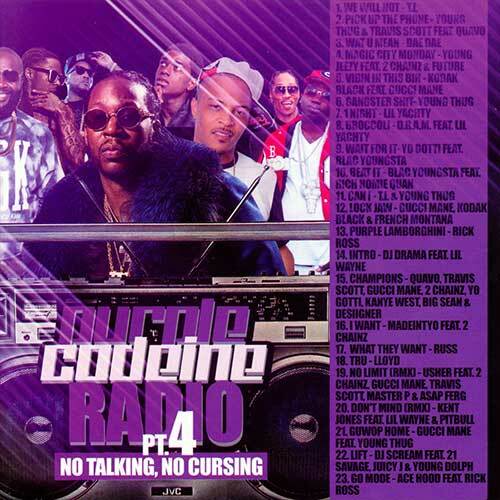 DJ Envy and Tapemasters Inc bring your ears the 4th edition in the “Purple Codeine Radio” collection. Music on this installment from T.I., Young Thug, Travi$ Scott, Quavo, Kodak Black, Gucci Mane, D.R.A.M., Lil Yachty, Blac Youngsta, Rich Homie Quan, French Montana, Rick Ross, Jeezy, Lloyd, Russ, MadeinTYO, Usher, A$AP Ferg, and many other top acts. If you are a club DJ and are tired of only finding music with swear words, then this product is for you. 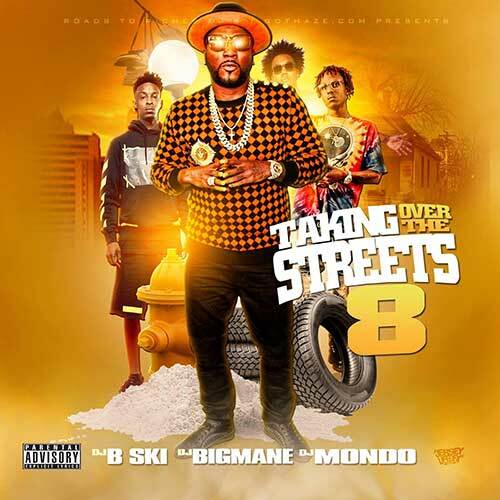 Next, DJs Mondo, B-Ski, and Big Mane bring out volume 8 of the franchise called “Taking Over The Streets”. Emcees to look for on this playlist of 22 new songs include Slixm Jxmmi, Cook LaFlare, Deezy, Quicktrip, Coca Vango, Moneybagg Yo, Highway Heavy, Lucky Nick, Narcotic Prince, Byg Enoff, Key!, GUN, Parlae, Big Bank Black, 21 Savage, and a list of other up and coming lyricists. The election results are starting to come in and everyone is watching in anticipation of who the next president will be. Kanye West announced at the 2015 MTV Video Music Awards that he would be running for president in 2020, so as that saying goes, anyone can run for president. Friday, November 11th is Veteran’s Day, so please remember to honor those who served and fought for the United States of America.